If you haven’t noticed, the demand for cloud-trained IT pros is soaring. As a result, cloud certification might be the smartest investment you can make, cert-wise. Regardless of the cloud certification you choose to pursue, you should feel confident with your decision. 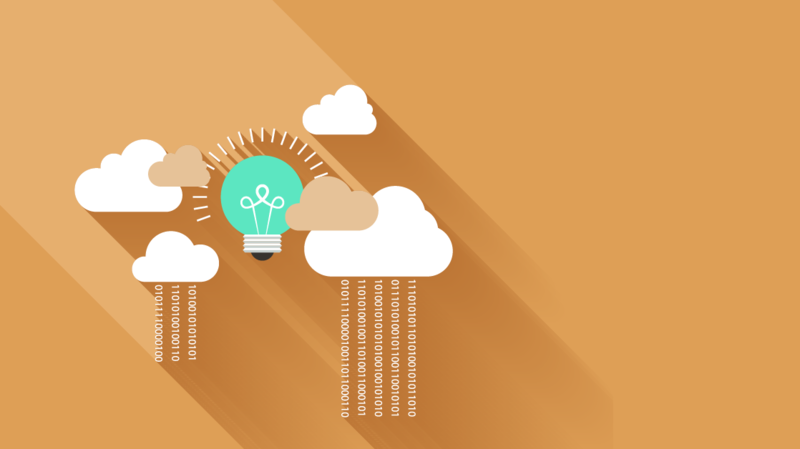 Let’s explore why earning cloud certification is a solid bet to hedge your future on. In the pursuit of any cloud cert, you’ll learn skills and best practices that will help you leverage one of the hottest technologies in the global business marketplace. While you may have your eyes on the end goal of earning a certification, you’ll be realizing several immediate benefits. You’ll be building a foundation of knowledge for an in-demand technology that’s going to continue to increase in usage. Your newfound cloud expertise can put you in a better position when seeking out new responsibilities and new projects within your current role. The experience you gain from further applying your cloud skill set is also a great thing to mention when negotiating your next raise. If you’re just getting started in your IT career, adding the cloud to your certification goals will make your set of skills that much more resilient when trying to move ahead. As the cloud continues to become the norm for organizations, new opportunities to specialize in the cloud space should open up. Having cloud certification validates your knowledge of cloud fundamentals and infrastructure, and allows you to jump right into pursuing more advanced cloud technologies and practices. More than 90 percent of organizations now are using cloud-based technologies. Many of them will boost their use of the cloud to new levels sooner than later. In a nutshell, the cloud is a popular enterprise solution because it allows for easy scalability and reduces the need for equipment and physical space. Being cloud certified puts you in a position to help organizations leverage the cloud, whether they are in the beginning stages or have been using the cloud for a while. Maybe your day-to-day role isn’t directly tied to the cloud, but being able to apply your knowledge on the latest in cloud tech and practices should eventually pay off. For example, you may be tapped to lead cloud initiatives within the organization or be looked to as a skilled advisor for cloud strategy decisions. If the organization is a managed services provider or cloud channel partner, they may be able to leverage your cloud expertise for more business opportunities. If you can help an organization reduce costs and risks by implementing cloud services, and in the process, improve processes and efficiencies, you will quickly find yourself indispensable. Certifications are one of the best ways to make your IT resume stand out, and having a cloud cert can help your resume move to the top of the stack. Just check how many different cloud-related jobs there are these days. If you find that you enjoy working with the cloud, don’t stop at one certification. And don’t limit yourself to going from entry-level to intermediate-level, or even to advanced-level. Branch out to different cloud vendors, as well. AWS might hold the majority of the market share, but Microsoft Azure and Google Cloud Platform also are widely used. Who knows what other vendors will emerge in the coming years? As you build up your experience with cloud technologies, don’t forget to highlight any projects you completed or real-world challenges you tackled — while working toward cloud certification or working on the job with cloud services. It’s important to leverage not just your skills but your credibility, in what’s becoming a crowded market. Earning cloud certification can set you up financially, as well. Most top-paying IT jobs lists include a cloud-based role or two, of which usually command six-figure salaries. Some lists even highlight the earning potential associated with certification. Last but not least, you’re going to have strong job security within the cloud IT space. The cushy salaries offered for these jobs are pretty telling. The demand for IT pros who can truly help organizations maximize their investment in cloud tech is high. That said, never stop learning aboutthe cloud, even if you reach a happy place in your cloud career. Keep up with industry trends and pick up as many new cloud skills as possible. Maintain the same zeal you had while earning those early cloud certifications. You have a lot of choices when it comes to individual cloud certs and which path you should pursue. As with many things in life, the journey to certification can be just as valuable as receiving the cert itself. Cloud certification can provide a big boost at any stage of your career. You’ll have the skills and knowledge to perform roles that are demanded by just about any organization. As your move through your career and gain experience with the cloud, you can position yourself for important job titles, larger paychecks, and opportunities to help organizations solve business challenges. What’s not to like? The demand for IT pros with cloud expertise shows no signs of slowing; you owe it to yourself to explore cloud certification. It could be the best bet you make on yourself.